A new UK Poster and a clip have arrived for the Jonathan Pryce and Agyness Deyn starring dystopian drama The White King. 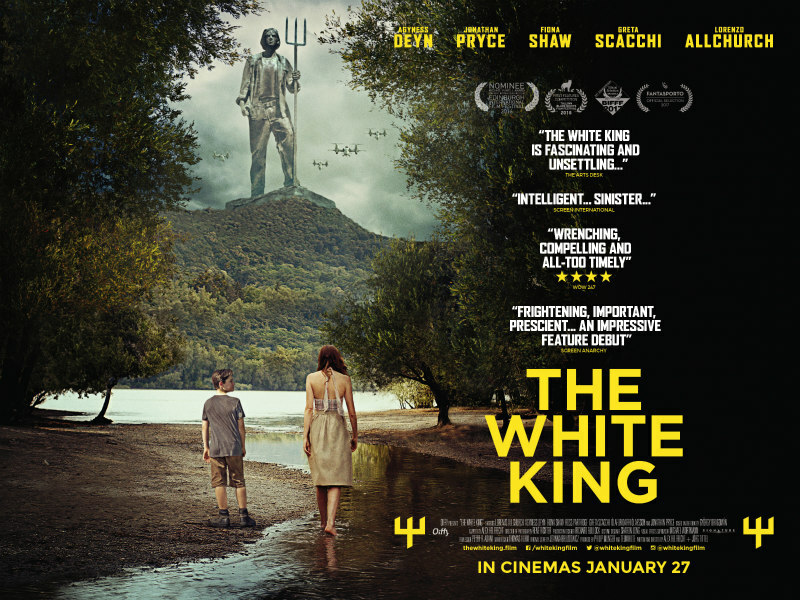 Signature Entertainment releases The White King in cinemas on 27th January and on DVD 30th January. Based on the critically acclaimed, award-winning novel by György Dragomán, The White King, set in a fictitious dictatorship, can be described as 1984 meets Empire of the Sun with its startling and “all-too-timely” exploration of what the world would, and could, look like. It also portrays life under an oppressive regime and how this impacts each and every person in different ways. Djata is a 12-year-old boy coming to grips with his father's imprisonment by the totalitarian state he calls home. Preyed upon by the secret police and venal dignitaries, Djata and his mother are forced to navigate a world of propaganda, abuse and vicious gangs, making them risk everything to reunite their family. The White King stars Jonathan Pryce (Game of Thrones), Agyness Deyn (Sunset Song), Greta Scacchi (War & Peace), Ólafur Darri Ólafsson (The BFG), Fiona Shaw (Harry Potter) and, in an vocal cameo, Olivia Williams (Maps to the Stars) and introduces Lorenzo Allchurch in the lead role. Written and directed by Alex Helfrecht and Jörg Tittel from the novel by György Dragomán.